Margaret during the concert Polsat SuperHit Festiwal 2015 in Sopot. White latex dress was designed by Pawel Tumilowicz for singer. Live broadcast of the concert was shown by Polsat Channel. Orange latex body was born in our workshop. It is amazing photo by Sandra Sobolewska. We are proud! 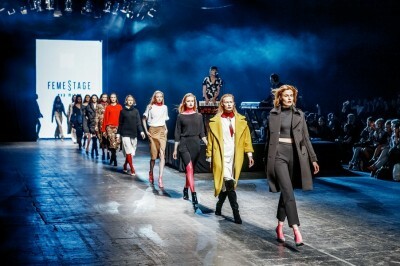 Alternative Off Fashion Store - latex.shop.pl was official partner on special fashion show by David Wolinski on 31st May in Warsaw. 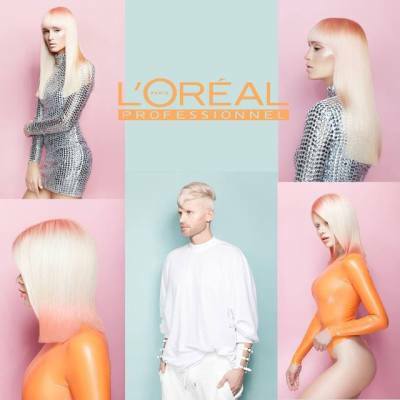 Latex stockings were worn by models in beautiful pastel colours and black. - The latex stockings are what really drives me crazy!! There’s something about them that catches my eye, the shiniest of the latex and how the latex makes their legs look so much thinner - we can heard on after party!! Our workshop has made special additions to the photo campaign Bizuu x Barbie. All latex clothes designed specifically for this photo shoot by Alternative Off Fashion Store. All pictures can be seen in the current issue of the magazine spring 2017. 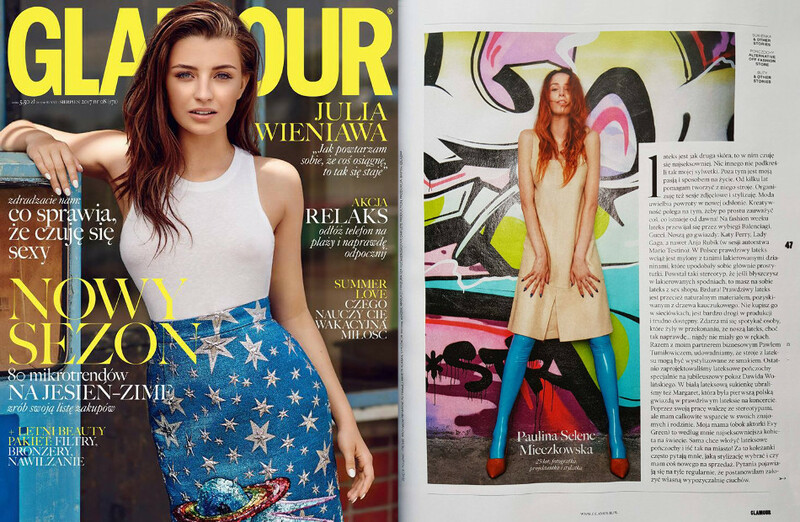 Latex publication AOFS in the MAKE-UP Trendy magazine in December 2016 ! 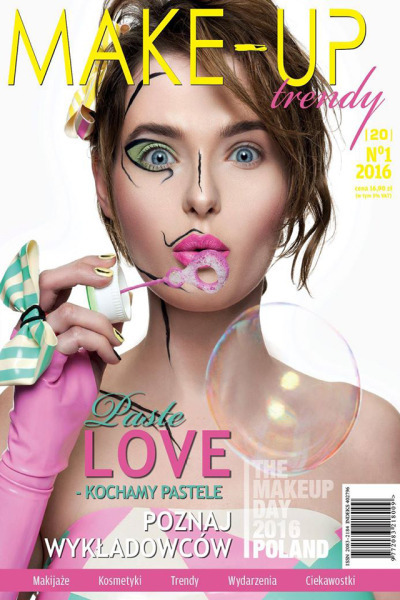 Our latex styling appeared on the cover and editorial in the first issue MAKEUP trendy 2016. 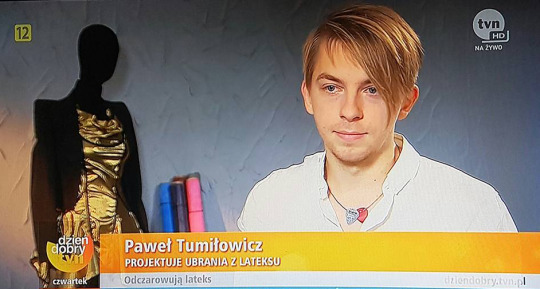 The first interview in Polish TV with latex fashion designers from Poland. 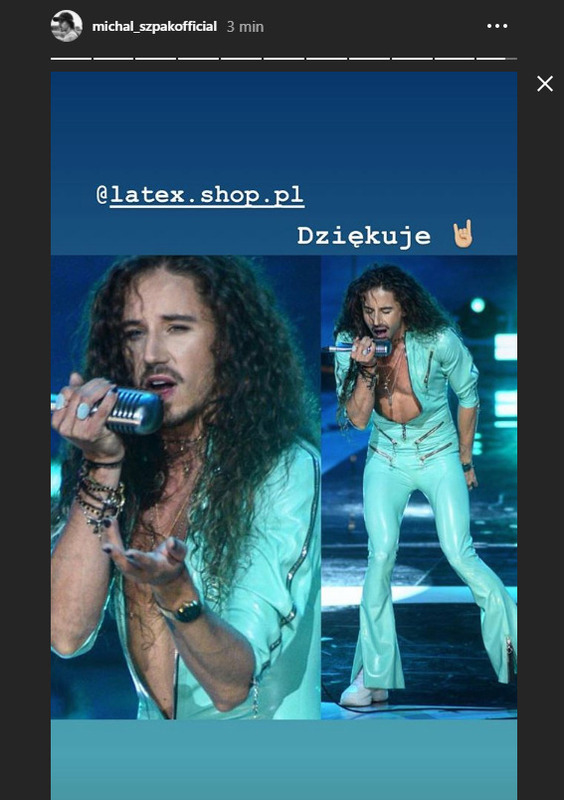 Paweł Tumiłowicz and Selene were talking about they work, photo sessions and passion for making latex clothing. During Fashion Week Poland 2016 the main Fashion Show FEMESTAGE EVA MINGE AW16 it was supplemented with latex additions designed by Pawel Tumilowicz. We have done for models catsuit, tops, stockings and socks in three beautiful colors. Perfectly matched styling created a harmonious whole of this collection. This cooperation is an honor and a great distinction for us. Bastet is the new album the singer and in the booklet of the album it appeared in our latex dress designed specifically for CLEO. Our designers have had the pleasure to participate in the video recording of the new CD and her photo sesion. The singer is known for such hits as “We Are Slavic” (Poland) 2014, which Donatan & Cleo represent Poland in the Eurovision Song Contest. 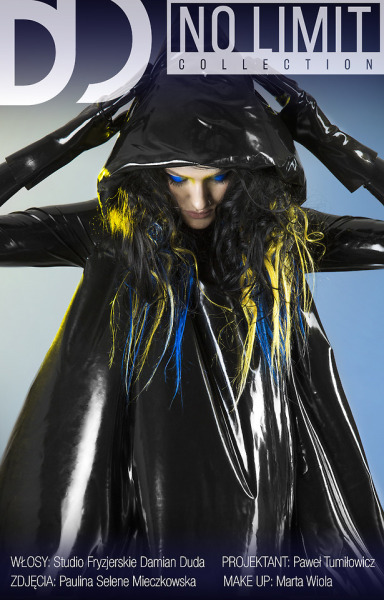 The album Bastet is the first solo album of the artist.